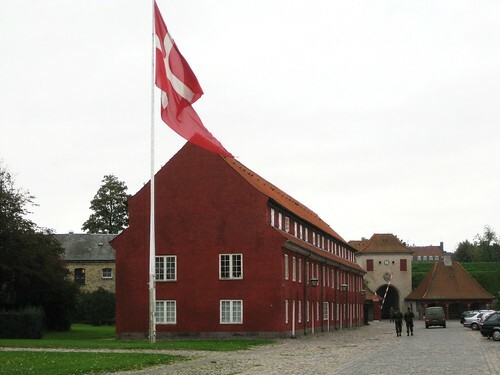 Last month I attended the CIVITAS Forum 2010 conference in Malmo Sweden. I arrived early and spent Monday walking around Copenhagen. The region is very interesting because since the Oresund bridge was built the Copenhagen and southern Sweden area have essentially become a single region including Malmo and Lund in Sweden with Copenhagen. 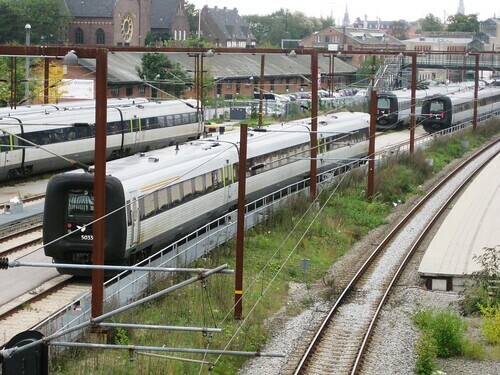 The regional train (S-train), Oresundstag, runs every twenty minutes between Copenhagen, Copenhagen Kastrup airport, Malmo and Lund. It’s easy, convenient and fast. I started my Copenhagen walk at the central train station and then headed to the neighbourhood north of Tivioli and the main pedestrian street (Frederiksbergg). It’s pretty cool with lots of cafes, hip stores and young businesses. I walked to the Norreport metro/S-train station, it’s a fairly typical urban station, the regional trains are underground – they travel underground through the center of Copenhagen. The station has lots of bike parking, but not enough for Copenhagen’s seemingly limitless demand. At the Civitas Forum we saw a great photo of bikers in the winter – they were covered with snow and ice but biking! From Norreport I walked to the King’s Garden park through the center of town. 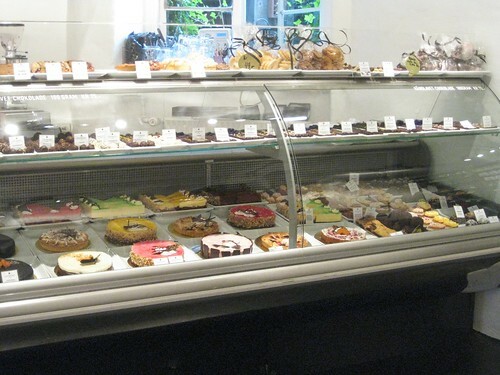 I walked around a little in the neighborhood just to the west of the park, and wandered down a small street called Lille Strandstrædet until I reached number 24, the location of a wonderful bakery/chocolate producer called Gryberg. I had a coffee and they treated me to one of their dark chocolate-passion fruit (two of my very favourite things) truffle with the coffee. The person working there told me this truffle had just won first prize as best in Denmark, and I could easily understand why. 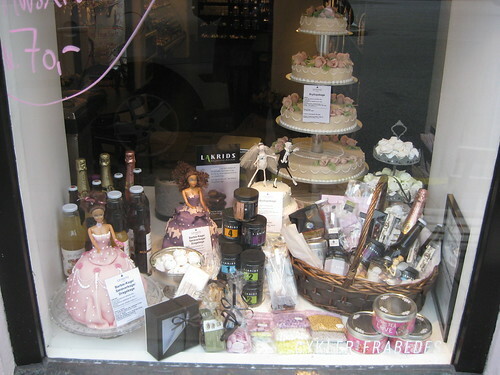 The store is located right near where the canal boat tours leave (Nyhavn). 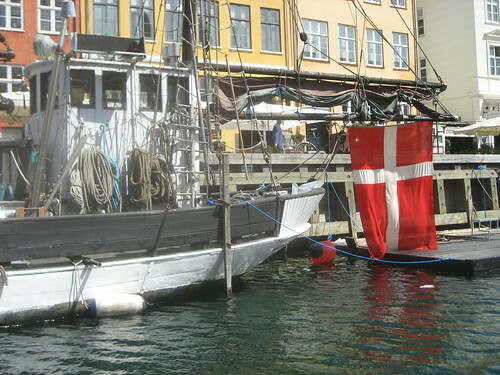 By the way, I took one of these boat tours in 2008 and it was lots of fun (see my flickr Copenhagen photo set). 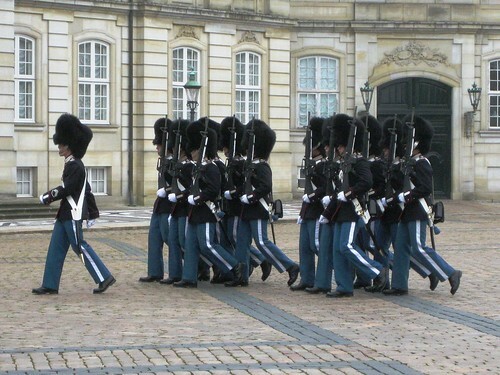 After my coffee I walked over to the Amalienborg Slot (Royal Palace) and quite unexpectedly I arrived just in time for the changing of the guard (actually I did not even know that they did this in Copenhagen!). The palace square is shaped in an octagon, and the west side opens towards the harbour. 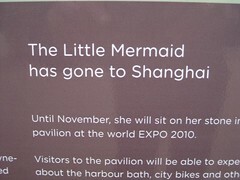 But, the statue was gone – visiting Shanghai for the worlds fair! I saw it on my 2008 boat tour, but still, it’s funny to think that a city would give away its most famous tourist attraction for six months. There must have been some debate about that! Then on to a pedestrian bridge crossing over the railway tracks north of the Osterport railway station. 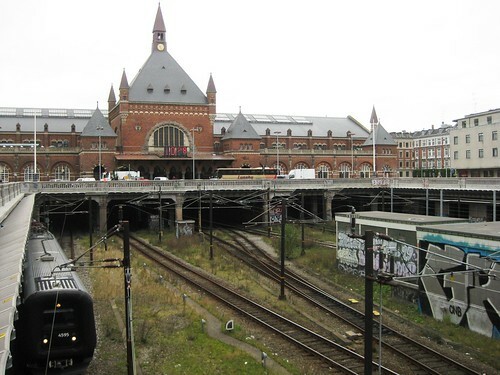 The main railway tracks go right through Copenhagen from the main station to Norreport station and on to Osterport station. Through railway service is very convenient and makes railway service much more efficient for operators. I have written about Zurich’s S-Bahn through service (Zurich is building another through line now), Malmo is also building a through tunnel and Vienna is building a new central through station to replace the old South and East railway terminals … to name just three current through railway projects under construction. I walked through the Holmens Cemetery to Oster Farimagsgade street. 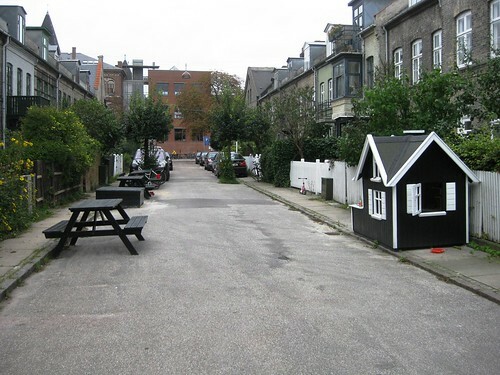 There I found a whole series of one block long streets with very simple and small houses but all these streets were woonerf streets. I have never seen such good examples of the woonerf concept. I love this photo of the playhouse and picnic bench in the middle of the block. Sorry it was a school day and too early for children to be outside, that would have made a good photo. 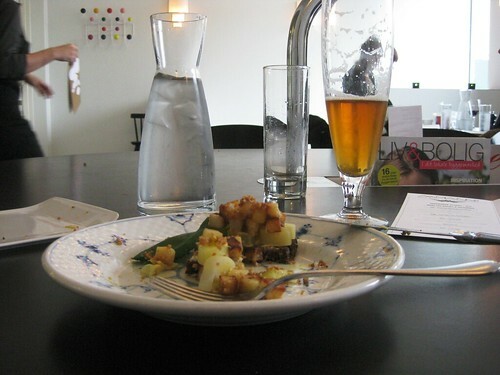 and … Vegetables: New Danish leeks with fried potatoes, wood sorrel, carrot/celeriac emulsion and “fedtegrever” … all washed down with a local draft beer from a brewery called Hersler Bryghus. It was a yummy lunch in very pleasant surroundings. The restaurant, next door, also looked fine. 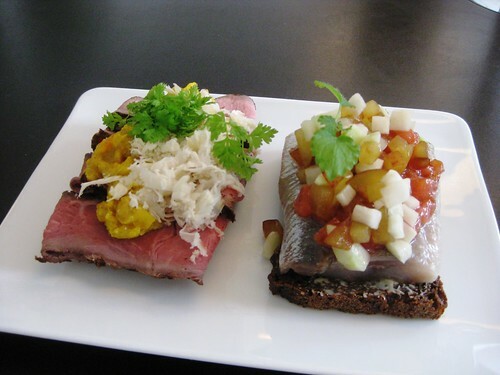 My lunch cost about 200 Danish Kroner, which is about 28 Euros. Then it was time to walk back to the main train station for my train back to Malmo, the conference was about to begin and I didn’t want to be late. All my photos – from my harbour tour in 2008 and this trip are available on my flickr Copenhagen photo set. Thanks Andy, this post brought back memories of Copenhagen from an eon ago. Fun to see this part of my hometown from a tourists eys. And yes – The little Mermaid’s trip out of DK was debated heavily!